27 руб. 2-3 недели, 31470 шт. 10 шт. 10 шт. ERA 3A metal film resistors from Panasonic offer stability in high humidity and high temperature environments, while remaining highly accurate. 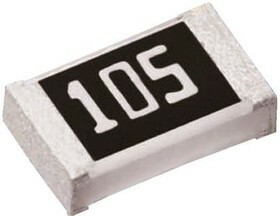 This series of 0603 of chip resistors provides a high performance solution and features excellent non-linearity.